I trust everyone is having a great summer. It is that time of summer, we are starting to get things ready for the 2016-2017 school year. I am excited and have high expectations for a banner year. Already, with the help of some great volunteer parents and students, we have moved some of the classrooms around to better accommodate the students. 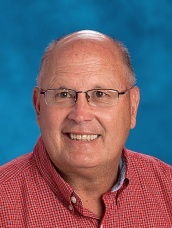 Also, we have hired a new seventh grade teacher for middle school science and language arts. Please keep our annual clean-up day on your radar. We are tentatively looking at Wednesday, July 27th from 5 pm to 9pm. Hope to see you there!! The school office will be open 9am-12pm Monday through Friday. The office will be closed June 2nd through June 12th. Support our local law enforcement! St. John School would like to show our support and gratitude to our local police departments. The school office is accepting cash donations to be used for coffee and donuts to be taken personally to the officers. Mrs. Bilotta will be picking up and delivering the items on Friday, 7/15, at 9am. If any students would like to help her deliver the items, please meet in the school parking lot at 8:45 am. Our Parish and school are collecting cases of water for the Finley 5k event. Our goal this year is to collect 100 cases. Last year we collect 75 cases. Donating a few cases of water is a simple act of kindness and cost only $6. Please consider helping. Drop off cases of water to parish office by 8/1/16. For questions contact Maria Pearl at mariapearllpn@yahoo.com. Monday, July 25th-- we will meet as we have in years past by the big playground at 6pm in Brooking Park. Any students in grades 1-8 are welcome and encouraged to join this exciting sport at St John&apos;s. Cross country offers a unique blend of a TEAM sport and spirit mingled with great INDIVIDUAL drive and effort. All you need are a pair of running shoes, some water, and the will to do your best! Practices will typically be from 6-7:15pm on Monday, Tuesday, Wednesday and Thursday for the older kids (4-8) and Monday and Thursday for the younger folks. For you veterans, now is a GREAT time to start running about 3-4 times per week to build a base for the season. Please contact me, Todd Reinhart (creinhart@bellsouth.net), anytime with questions or if in need of suggestions on what to run. I hope to see LOTS of old and new faces on July 25th! Coach Todd"
You can still order your year book. It is very easy to order online atYBPay.lifetouch.com. 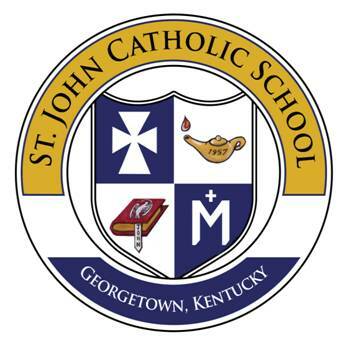 The St. John ID code is 1925016. You can also write a check to St. John School with "yearbook" in the memo. The price for the yearbook is now $28. Our yearbook is a great way to preserve the memories of each class, all of our team sports, and the special events throughout the year. Be sure to order yours NOW!! Summer Computer Lab Hours Updated!!! !